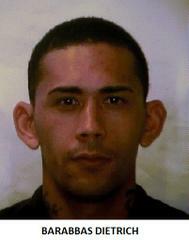 (SEE UPDATE) Laumaka furlough inmate makes unauthorized exit, another fails to return to Mod 20. If seen call 911 or 586 -1352. Work furlough inmate Barabbas Dietrich returned to the Laumaka Work Furlough Center after work this evening. While being processed at 6 p.m, he left the furlough center. He was not authorized to leave. State Sheriffs and Honolulu Police were notified of the unauthorized exit. Dietrich is 31-years old. He is 5’11” tall and weighs 172 lbs. He has brown hair and brown eyes. Dietrich is serving time for Robbery 2 and Theft 2. His next parole hearing is scheduled for October of this year. He faces an additional escape charge when found. 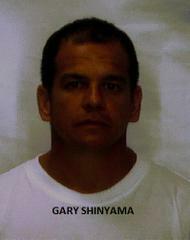 Work furlough inmate Garry Shinyama left Module 20 this morning to go to work. He was scheduled to return at 4:45 p.m. State Sheriffs and HPD were notified of his failure to return. Shinyama is 45-years old. He is 5’4” tall and weighs 165 lbs. He has brown hair and eyes. Shinyama is serving time for Prohibited Acts Related to Drug Paraphernalia, Promotion of a Dangerous Drug 3, and Abuse of a Household or Family Member. Parole was tentatively approved and pending a release date set by the parole chair. He faces an added escape charge when found. Both Dietrich and Shinyama are community custody inmates in the work furlough program with pass privileges. Community custody is the lowest classification status. If you see Dietrich or Shinyama, please call 911 or State Sheriffs at 586-1352.